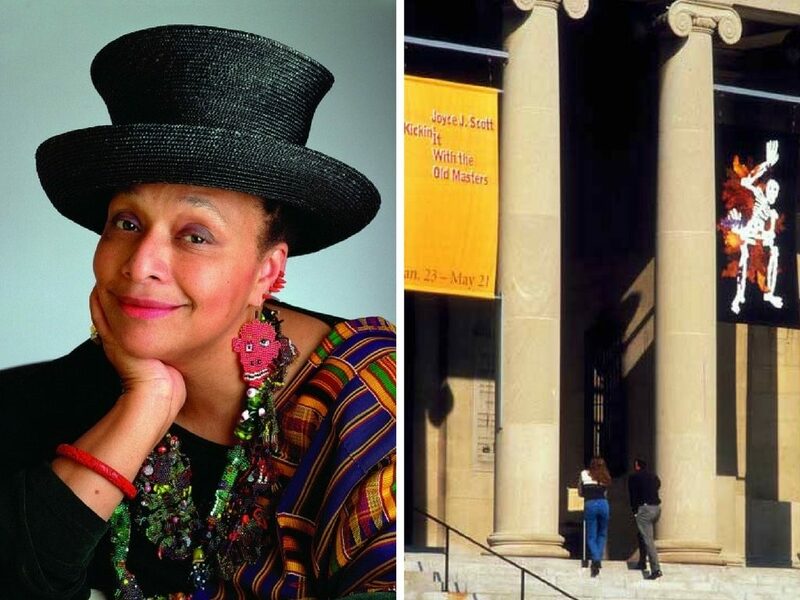 When I first moved to Baltimore in 2000, Joyce J. Scott’s Kickin’ it with the Old Masters exhibit at the Baltimore Museum of Art was in full swing. It was hugely significant that Scott, a Baltimore native, had a giant solo show at our contemporary art museum and what I didn’t realize at the time was that this exhibit was a partnership between the BMA and MICA’s Exhibitions Seminar run by George Ciscle, the founder of The Contemporary, originally a nomadic, non-collecting museum that partnered contemporary artists with larger institutions in radically ambitious exhibitions. Fast forward a few years to Louise Bourgeois: Femme at The Walters in 2006. This was the first exhibit I sunk my teeth into as a critic writing for a national art publication. It was the first time I intellectually engaged with the work in The Walters as conceptual art, rather than artifacts. Femme completely changed my perception of ancient and historic works of art, placing it into a contemporary context of ideas and issues, essentially bringing it to life. This unusual exhibit was an official partnership between The Contemporary Museum (TCM) and The Walters, featuring the artist’s works seamlessly threaded throughout the museum, made visible only by hot pink wall labels. The lasting cultural impact of these collaborative exhibits and so many others mounted by TCM from 1990- 2006 was massive; they were far-reaching yet locally relevant, and uniquely ambitious in a region that sorely needed it. TCM’s transformation into a brick and mortar museum (the word museum was added to its title) brought about changes that made it less interesting to me. Under the direction of Thom Collins and later, Irene Hoffman, its programming was slick and esoteric. Although TCM offered the most intellectually challenging and nationally relevant arts programming in Baltimore, it also functioned like cultural broccoli (substitute whichever vegetable you least prefer) and my experience with it was ambivalent. TCM seemed focused on attracting an elite national audience at the expense of a local following, more a vehicle for a talented curator poised to ascend to the next professional level in some other city. Maybe we were too short-sighted to appreciate its brainy conceptualism? Or maybe TCM did not prioritize a local following. Either way, I don’t remember reviewing many of TCM’s on-site shows during these years, but I did exhibit in one and attend several of their galas. These were elaborate parties and I thought they were cool but prohibitively expensive; I was invited as a token artist to make it “fun” and knew their goal was getting a handful of rich people to donate to the organization. And then it wasn’t. 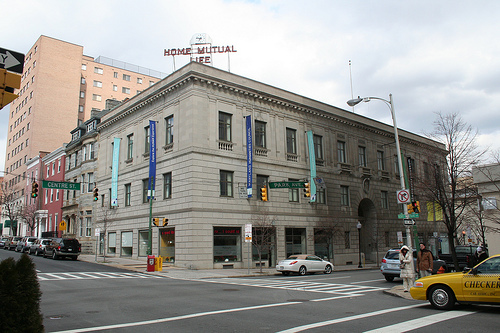 TCM’s board decided to suspend its existence indefinitely in 2012 for financial reasons, and suddenly, the host for smart, bigger-than-Baltimore art was gone. Deana Haggag and a new board brought The Contemporary (TC) back to life in 2013, dropping the ‘museum’ from its title and taking it back to its roots as a radical, nomadic, non-collecting museum. True to Ciscle’s original vision, this new museum became a beacon of excellence in a town full of under-funded, half baked artist projects. A new, invigorated board hired Haggag, then 26 years old and a recent MICA MFA graduate in Curatorial Practice, as director after she had spent the past year researching the region’s cultural deficits and assets as her thesis. I’m not sure if any of us realized it would happen, but under her direction, the new entity grew to represent many of Baltimore’s best cultural aspects and our potential for national relevance in the art world.